Join the 501c3 nonprofit Driftseed and the University of Michigan School of Education for a Teacher's Professional Development Webinar exploring a new, free educational toolkit that supplements the Little Stones documentary. This webinar will be facilitated by Darin Stockdill, Design Coordinator from the University of Michigan School of Education. 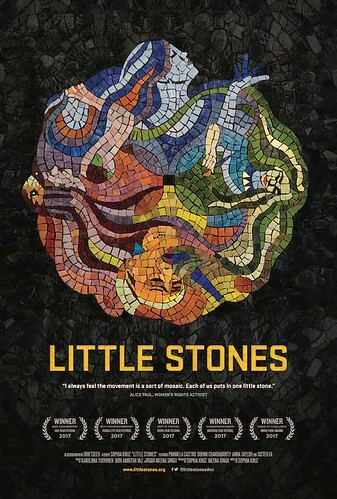 Little Stones is a feature-length documentary film that weaves together the personal narratives of four women who are using art – fashion, street-art, hip-hop, and dance – to challenge gender-based violence and empower women and girls in India, Brazil, Senegal, Kenya, and around the world. You will learn how to engage your students with difficult issues like gender-based violence, and explore the LITTLE STONES high school and early undergraduate educational resources developed by the University of Michigan's School of Education. All webinar participants will receive a coupon code for 25% off an Educational DVD of Little Stones from Collective Eye Films. This event is sponsored by Driftseed, a nonprofit organization devoted to education, outreach, and documentary storytelling that builds a better world for women and girls, and the Center for Education Design, Evaluation, and Research at the University of Michigan.